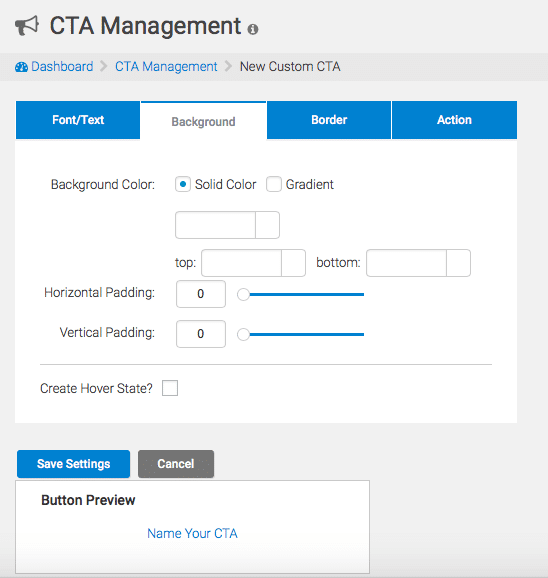 If you want to learn more about CTA buttons, this blog post is for you! The call-to-action feature allows you to create custom CTA buttons that you can use anywhere on your WordPress site using a simple shortcode. 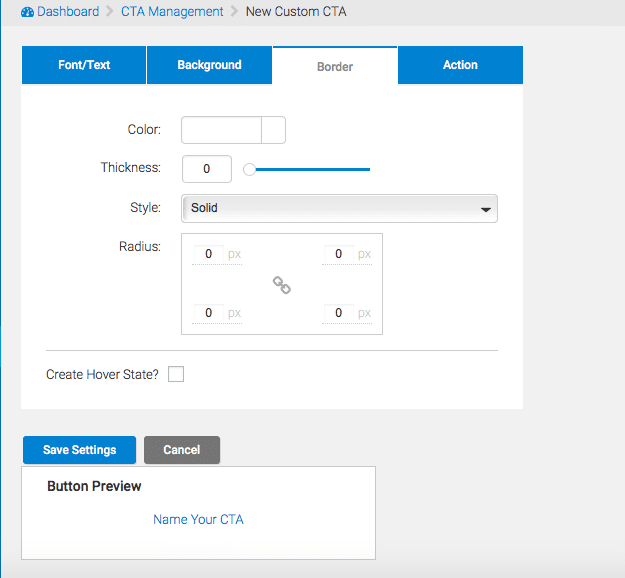 When using the CTA tool, you can create unlimited customized buttons. Your options include a variety of different fonts, sizes, colors, borders, and button padding options. To begin using this tool, click on “CTA” on the left-hand navigation bar. This will bring you to the CTA Management screen. Custom button: Create a new, from scratch, custom button by using our CTA generator. Our tool will help you to create fantastic and professional looking buttons in no time. Upload Image: If you already have a sharp looking CTA image you’d rather use, we approve! Go ahead and upload or select the image and attach an action, Viola! CTA magic! From Template: Why reinvent the wheel? For your starting point, select one of your amazing CTA templates that you already put blood, sweat, and tears into perfecting. In the first box, write your CTA button text. This will also be your CTA title. Once you are happy with the background, click “save settings” at the bottom of the page. If you’d like to add a border to your CTA, proceed right to the “Border” tab where you can customize the color, thickness, style, and radius of the border. When you are ready to finish creating your CTA, click on the “Save Settings” button to complete custom CTA. You will now be able to see your CTA in your CTA dashboard. You can change the name of the CTA by clicking the name of the CTA or pencil icon.